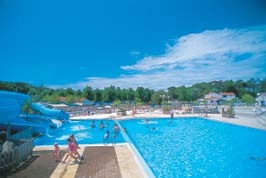 Le Littoral is a lovely, lively parc that's bound to keep the whole family amused. It has a great location, access to a lovely pebbly beach just 100m from the parc, perfect for looking for shellfish. There are also popular long, sandy beaches that the Vendee region is known for, just a short, free bus ride away.